Parys is a popular tourist destination, affording the visitor endless opportunities for leisure and adventure. Water sport activities include river rafting, water skiing, canoeing, angling and power boating. Abseiling and gliding facilities are also available in Parys. The Vaal River, which stretches about a kilometre wide at Parys, is dotted with willow treed islands, on one of which has been built a 9 hole golf course. Access to Golf Island is via a suspension bridge, built high enough to ensure golfers can reach it even when the river is in flood. 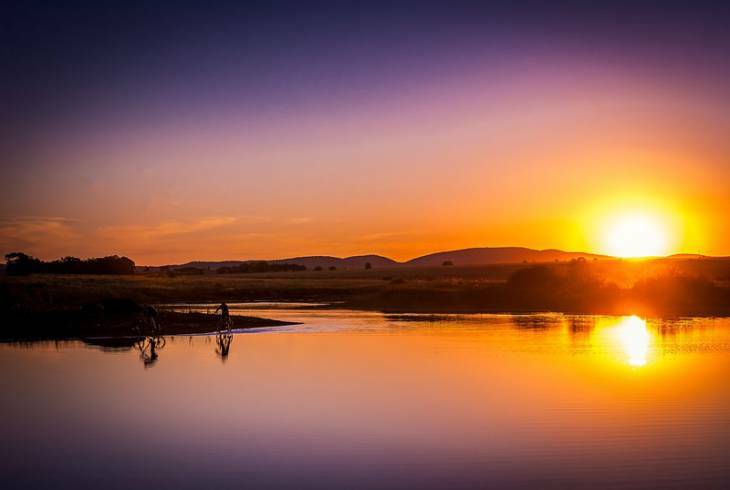 Visitors can also choose between a variety of Hiking Trails taking them into the hilly countryside surrounding Parys incorporating game viewing, bird spotting, viewing the remains of diamond diggings along the river and exploring the many battle sites within the vicinity. Parys was established in 1876 by the Van Coller brothers on Klipspruit Farm. The town was romantically named by its surveyor, Schilbach, who was reminded of the French town of Paris, which was similarly situated along the banks of a large river.